Let's go shopping: I've been looking for something, anything, a little smaller than the Pathfinder. The problem with working as a freelancer (a far nicer word than the more accurate 'prostitute') is that you'll say yes to anything, generally without even thinking about it. 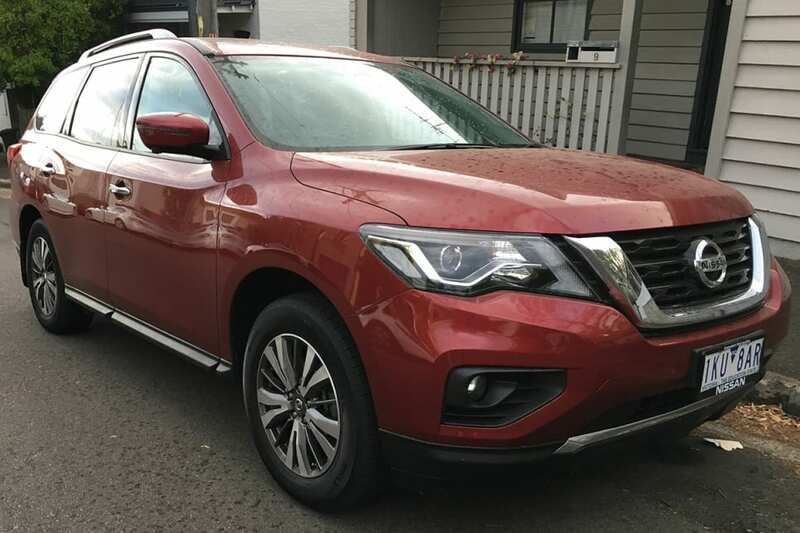 And so it was that I found a Nissan Pathfinder parked out front of my house, and my wife parked in front of it with her hands on her hips and an "I'm not driving THAT" face I'm all too familiar with. 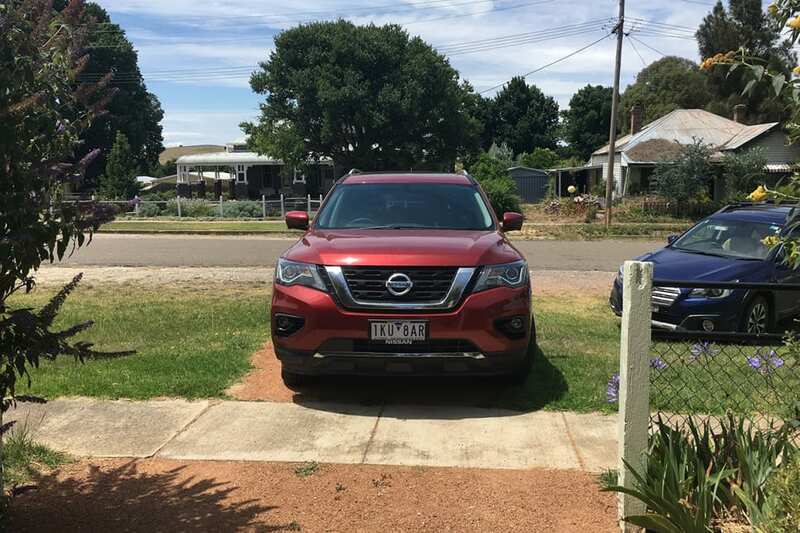 The problem is not the Nissan, a hulking testament to the term 'value for money', particularly if you like to measure value by the kilogram, or the number of seats, it's the suburb where we live. Clearly designed for horses and carts rather than the draught horses that are modern SUVs, I generally shake my head in dismay when I see locals trying to run the gauntlet in their Range Rovers and Porsche Cayennes, their wing mirrors surely only temporary attachments. With cars parked down both sides of every street, there is simply not enough room for these behemoths, and much of central Sydney feels the same. 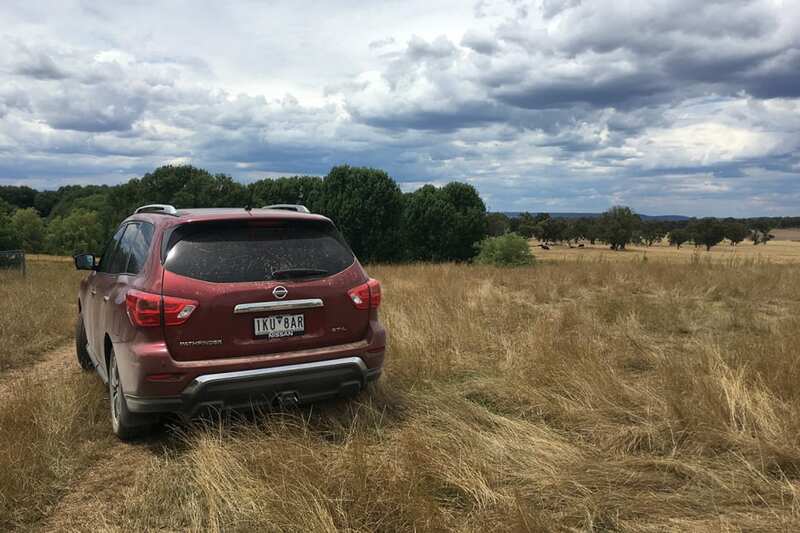 While our Pathfinder ST-L would prove a challenge, and would never, ever fit in the local Woolies carpark, it would bring much practicality, perhaps even enough to win the wife over. 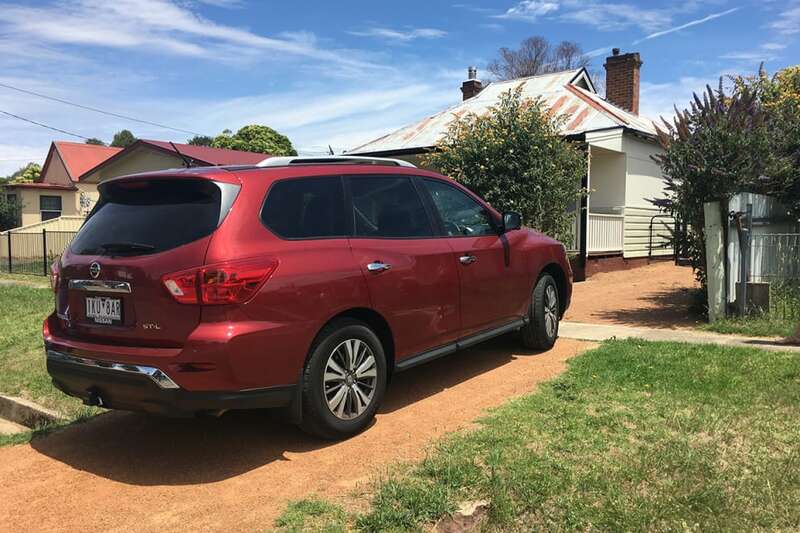 The ST-L is the attractive, middle child of the Pathfinder range, eschewing the four-wheel drive that I would find mostly pointless, but using a powerful V6 to drive the front wheels only, and arriving with an incredible amount of kit - and space; hello seven seats - for its low $53,690 asking price. Our long-termer, which looks like the sweet spot of the range if you're never going to go off-road seriously, gets a panoramic roof that the kids love, fog lights, heated wing mirrors, an excellent and easy-to-use sat nav system, leather accented and heated front seats, an 8.0-inch touchscreen (criminally lacking Apple CarPlay) and a 13-speaker Bose stereo, which we all love dearly. Safety-wise we're happy, too, with a surround-view reversing camera, rear sensors and six airbags, plus AEB, active cruise (which I'll never, ever use), forward-collision warning and rear cross-traffic alert. On the downside, it does come with a CVT auto attached to its 202kW/340Nm 3.5-litre engine, but it's got to be one of the least annoying versions of this technology I've ever had the displeasure of driving. Our first few weeks have been spent trying to thread a skipping rope through the eye of a needle when we're in our own suburb, but I'm almost getting used to it now, to the point where I no longer breathe in involuntarily when cars come towards me. And the good news is the kids - aged six and 10 - absolutely love it. 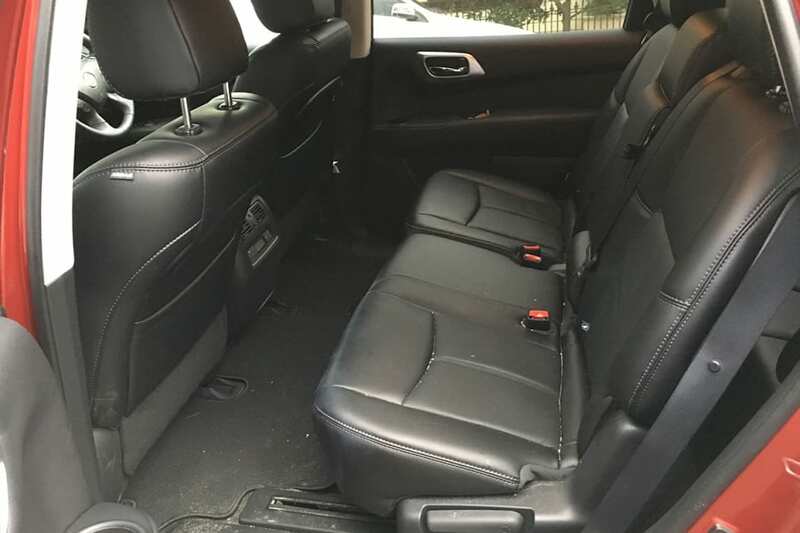 I had been told that your children eventually want to move away from you, but I hadn't realised it would happen as soon as I got a big seven-seater. They insist on fighting over the third row, not just because I can't hound them when they're back there, but because it's cooler. I know not why. 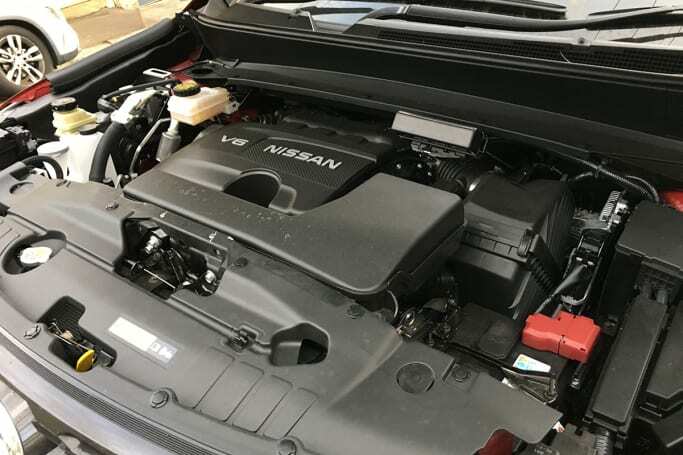 The rear air con vents, with their own temperature settings, are also a hit, although the whole air conditioning system in the Pathfinder seems to have been designed for industrial meat packing use. Even 24 degrees feels bloody freezing. Other than that, my only major gripe thus far is that the horn sounds every time you lock it, which is not only annoying, it's stopped me from sneaking home at 3am, because I'd be even more busted than usual. It’s always good to know you have readers, and it should come as no surprise that the car-company employees who smile at us through gritted teeth every time we dare to criticise one of their vehicles are some of our most rusted-on fans. Thus, it was something less than three minutes between my first report on the Big Pathfinder that I got a text message from someone at Nissan advising me that it is possible to stop the horn from sounding every time you lock it, and that I would have known this if I wasn’t such a typical bloke and thus either intimidated by instruction manuals, or too embarrassed to use them. And sure enough, it was a fairly simple process of holding buttons, making a face and clicking my heels three times, and now the annoying horn sound has gone. 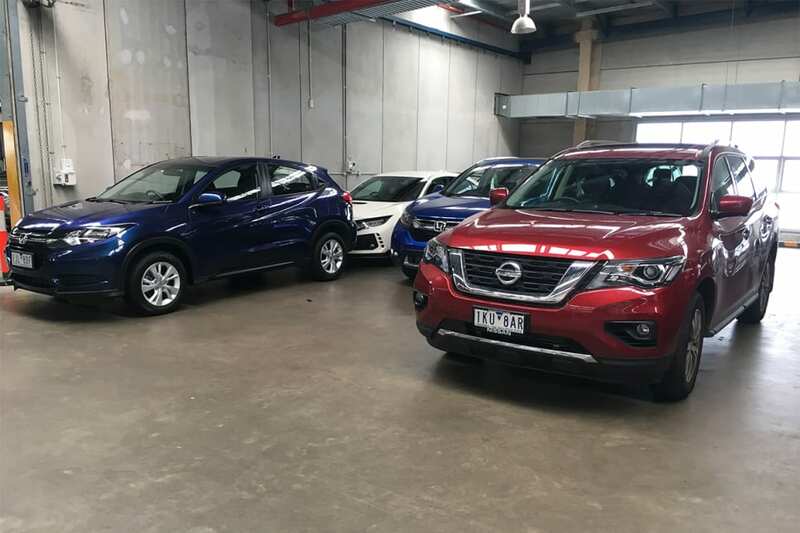 While this has made me less afraid to use the Pathfinder late at night, I’ve also been getting braver about using it during the day, even negotiating the multi-storey carpark of torture at my kids’ swimming school, which has roughly 80 per cent fewer spaces than visitors. Once you get used to the size of a vehicle, even a big one, it’s amazing how precisely you can manoeuvre the damn thing, and even take pride in doing so. I only swear half as much now every time I have to perform a 36-point turn in a tight space. I did, however, make the mistake of driving it to Newtown, recently, a suburb that hates cars the way Pauline Hanson hates IQ tests. As I reversed down a tiny road with cars parked on both sides for the third time, to let someone in a Prius go past me, I realised I’d taken the Nissan too far out of its comfort zone. 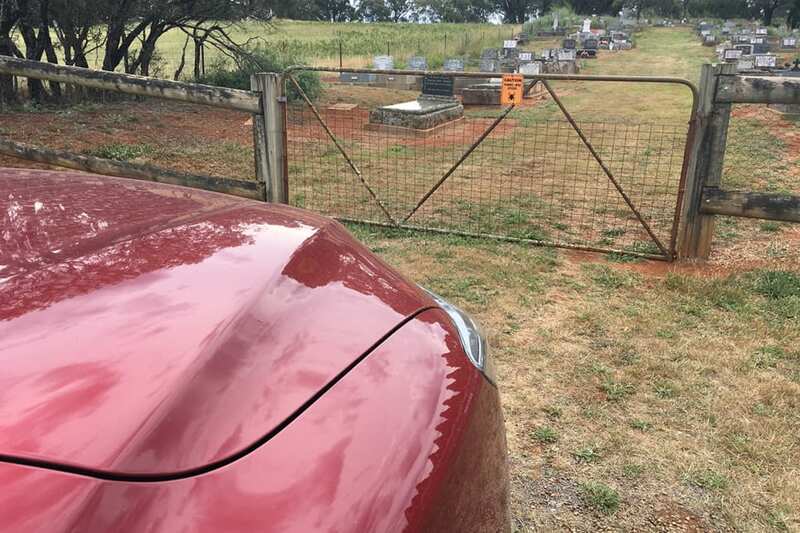 Fortunately, the week before we’d driven it to Terrey Hills, a suburb so far out of central Sydney you need to take an EPIRB with you, just in case, where a Pathfinder looks not only normal, but slightly small. 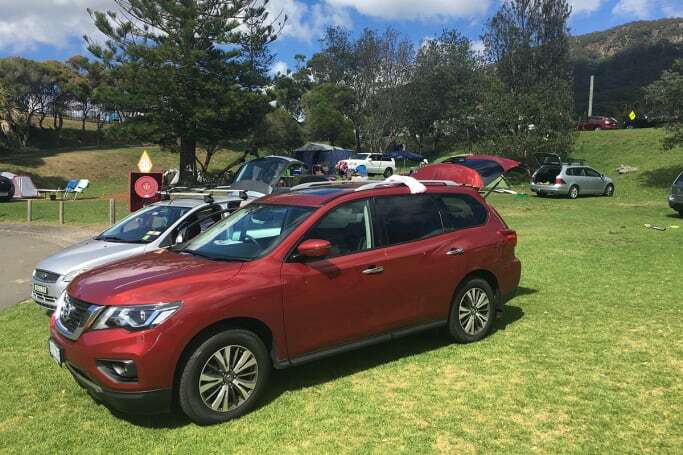 We’ve also hugely appreciated our giant family car a couple of times this month with trips out of Sydney, including to a holiday house at Boomerang Beach. 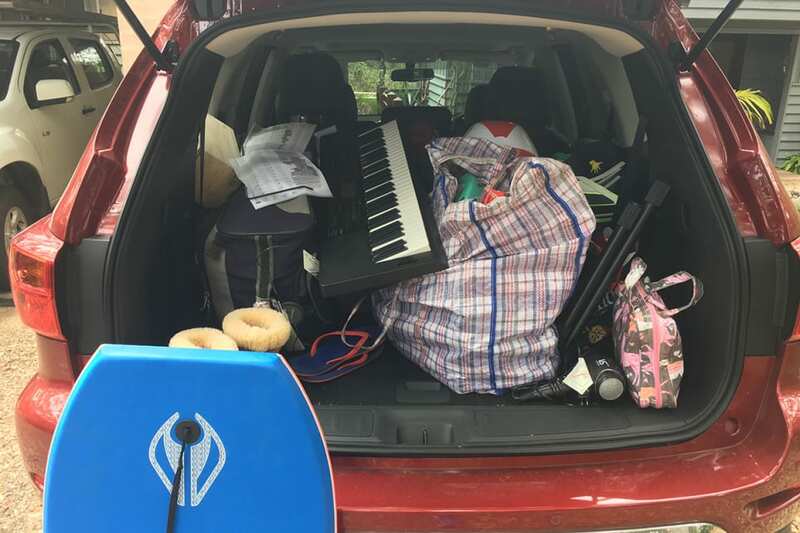 It really is a weight off your mind not having to choose which pile of the kids’ crap they’re allowed to take because you can just throw it all in the boot and still have room to spare. 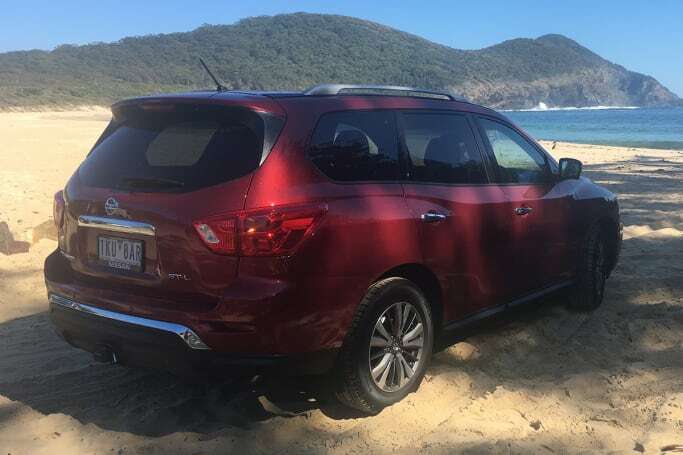 Out on the open road, the Pathfinder cruises with ease, and seems capable of going forever on a single tank. We even negotiated the Kerbs of Death challenge that is a McDonald’s drive through. There were some twisty bits of road on the way to the beach that I would have enjoyed far, far more in a car far, far closer to the ground, but to be fair the Nissan behaved itself well, and didn’t force me to slow to a caravan-like crawl, and understeer took far longer to kick in than I’d expected. It’s certainly not fun in the bends, but it is fair and balanced. 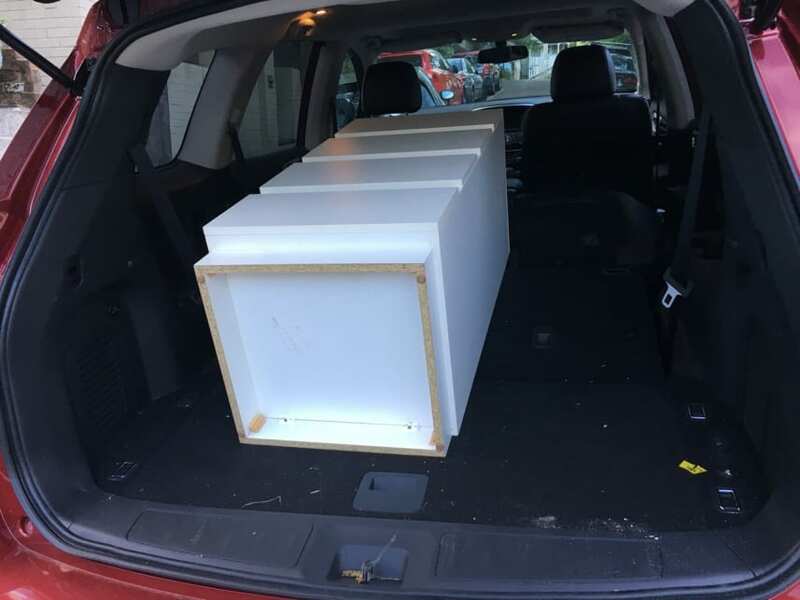 The big Pathy really shone late in the month, however, when my lovely wife announced that she’d sold a giant chest of drawers on Gum Tree and that the woman who’d bought it had just realised she’d never be able to pick it up in her tiny car. No problem for a Manly Car Owner like me, I had it round there in a jiffy, and my chiropractor tells me I’ll be able to sit down without wincing and groaning in a few short months. Overall, as big as it is, I’d have to say the Pathfinder is growing on me, and starting to feel like home. Partly because it’s bigger than my house. Frankly, I’ve never understood why men seem to feel more manly when they’re at the wheel of a big, loud and lumbering SUV. Back in the days when 4WD vehicles were only bought by blokes with thick socks, thicker beards (before they were hipster) and questionable hygiene, there was something hugely blokey about owning one, and not just because it made you stick out in traffic because you were so much bigger than everyone else. Perhaps it’s because I think off-roading is slightly pointless and hugely boring, but I’ve just never seen the appeal, despite many and varied car companies trying to convince me otherwise. 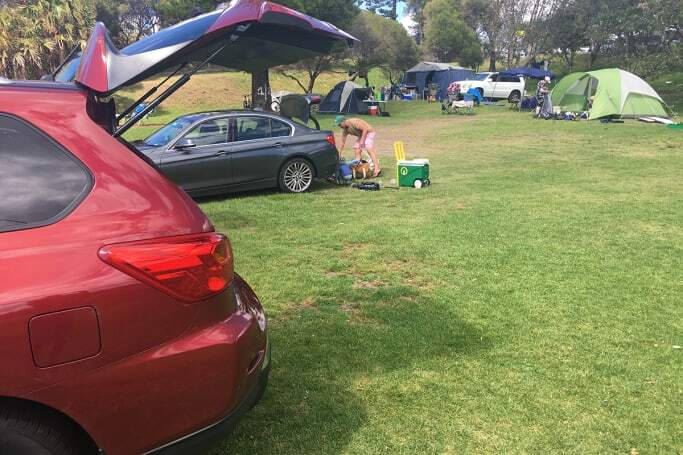 Recently, however, my two city-slick children and I went camping, for the first time ever, at a Dads and Kids adventure organised by a neighbour who obviously likes the outdoors far more than we do. 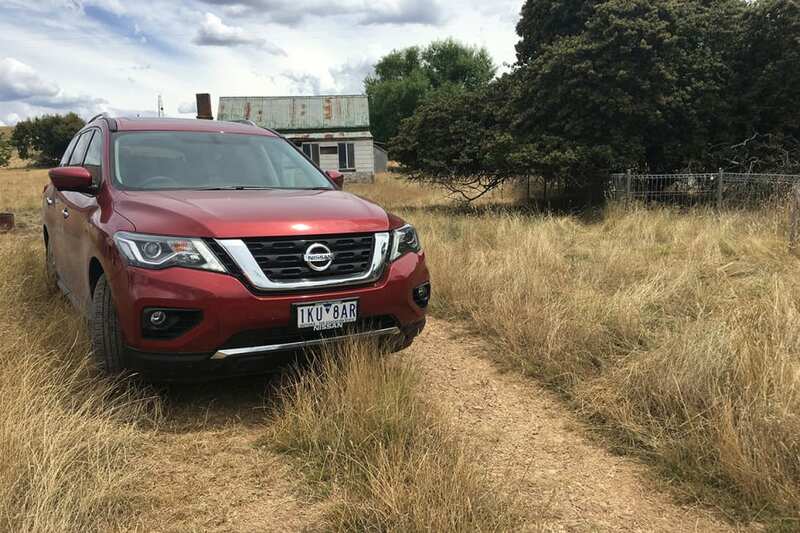 Rolling up at the Coledale campground (right by the beach, effectively in the middle of town and with toilet blocks, we weren’t exactly roughing it), my vast Nissan Pathfinder felt as completely in its element as I didn’t. 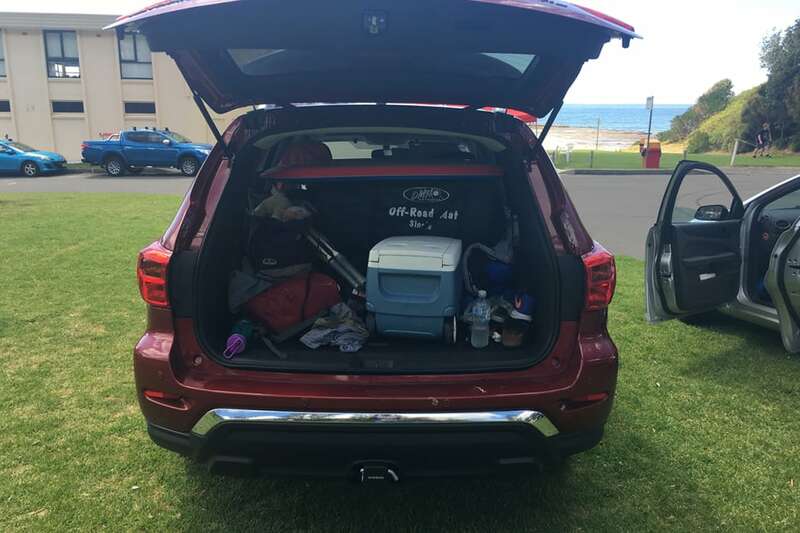 While other Dads with jam-packed normal sized cars turned up looking like they would explode if you opened a door too quickly, I had brought enough camping gear, it seemed, for a family of 20, plus boogie boards, cricket bats and everything else I vaguely thought might come in handy. 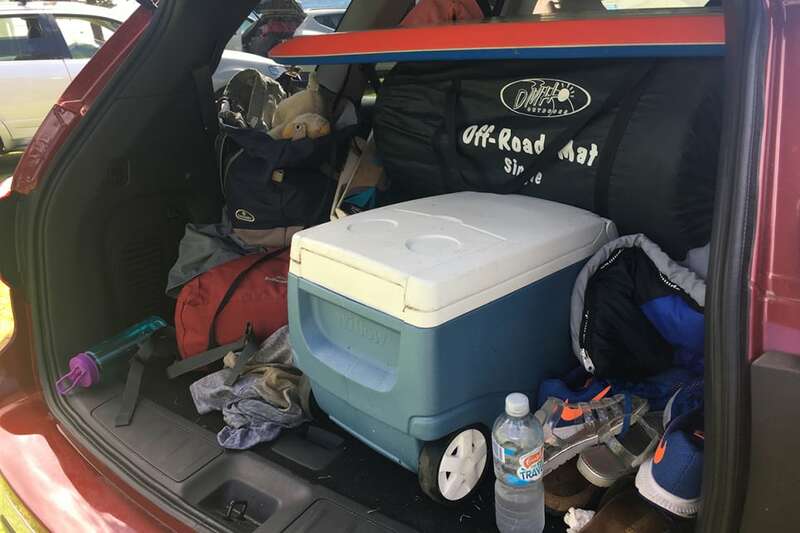 Because my vehicle was so vast and manly, it became the focus point of our little camping area (occupied by no less than 10 dads and 20 kids), parked proudly in the middle with its rear door open and the boot used for storing all kinds of stuff, and even getting kids changed. Best of all, the Bose stereo got a proper workout as my Pathfinder became our chosen, and vital, method of listening to the cricket for the three days (If someone had told me there’d be no TV screens at camping I would never have agreed to go, obviously but it was a bit late by the time we got there). I was praised, roundly and regularly, for my choice of vehicle, to the point where I even stopped fobbing people off and pretended it really was mine. As I gradually became more filthy, or at least covered in sand, over the weekend I felt more and more manly and blokey and quite likely to kill some small animal with my bare hands (sadly there were only cute bunnies around, and they were too fast for me). This whole outdoorsy thing, it turns out, can be quite a hoot, and I must admit the children had an absolute ball, too. 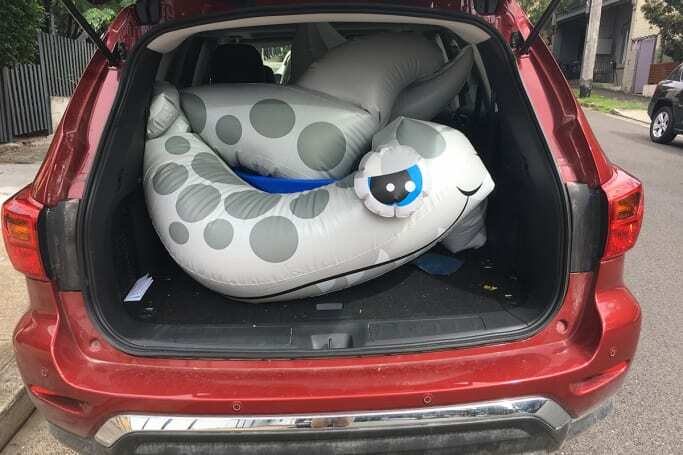 My final gloat came on the last day when neighbours asked if I could transport some of their stuff back to the city, which of course I could, with ease, because the Pathfinder’s boot genuinely seems to resemble a black hole. All, or perhaps most, of my frustrations with driving the big bus in the city seemed worth it after this excursion, and I feel I may even have to go camping again before it goes back. Although I probably won’t if there aren’t any proper men coming along to do all the hard stuff for me. Unfortunately, strangely, my fuel economy seems to have gone badly south this month, perhaps because most of my kilometres, before the Great Adventure, were city ones. Hopefully normality will be restored. Average fuel consumption: Hit an awful high of 13.9L/100km this month at one stage, getting just 416km between refills, when I’d previously got more than 800km (on drives out of town). The overall figure for our time together is now 11.4L/100km. You might think there are few things more annoying to find in your car than a back-seat driver, but there are. Children would be near the top of the list, particularly when they're fighting and their voices achieve the kind of piercing tone that can perforate eardrums, and friends who speak loudly on their mobile phones could come close. At the very top of the twisted tree of annoyance, though, are the thorns in my personal side; back-seat experts. Over the Christmas period, as we went on a seemingly endless road trip. The trip went from Sydney to the South Coast, Canberra, tiny Taralga in country NSW and then Avoca on the Central Coast. Having visited country areas, I've wondered why anyone would choose this front-drive version over the all-wheel-drive underpinnings it was so clearly born to have. The Pathfinder really does do its best. Much as people love to tell taxi drivers where to go and politicians how they're doing it all wrong, people who ride in cars with me can't help telling me what's wrong with the vehicle we're in. Over the Christmas period, as we went on a seemingly endless road trip from Sydney to the South Coast, Canberra, tiny Taralga in country NSW and then Avoca on the Central Coast, we regularly took advantage of our handy seven-seat layout to transport family and friends (the rear seats really are more than adequate, with actual legroom and very few complaints from child passengers). These helpful folks all seemed to want to point out just how boat-like the ride in my Nissan Pathfinder (as I now think of it) was, an in several cases to whine about how sick it was making them. Something the size of a small block of flats, and with possibly even more room for storing things is never going to corner like a sports car. We even got a piano in. 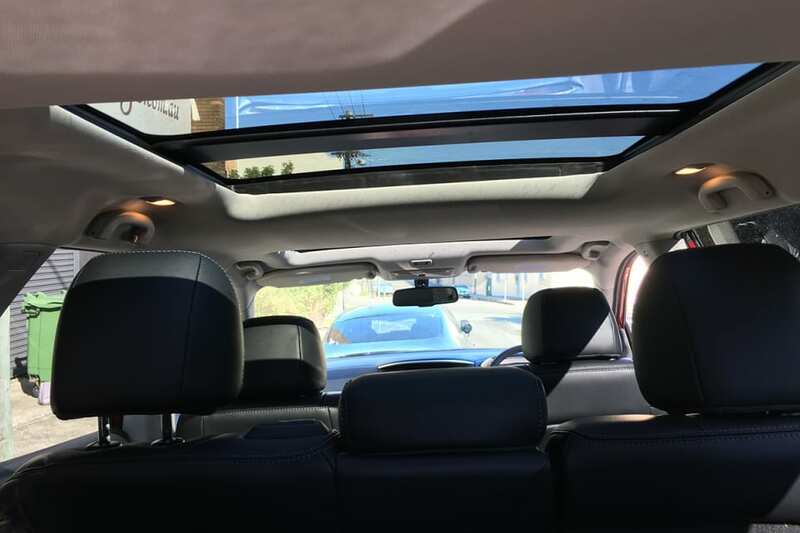 Yes, it's true that that back-seat experience does provide a different perspective on ride comfort and body-roll, but mainly I think they should just shut up. Not just because I know better than them, and not just because I've become a bit protective about the big ol' bus, now that we've bonded, but because I think there's a tendency to expect too much from vehicles as big, and thus practical, as this. 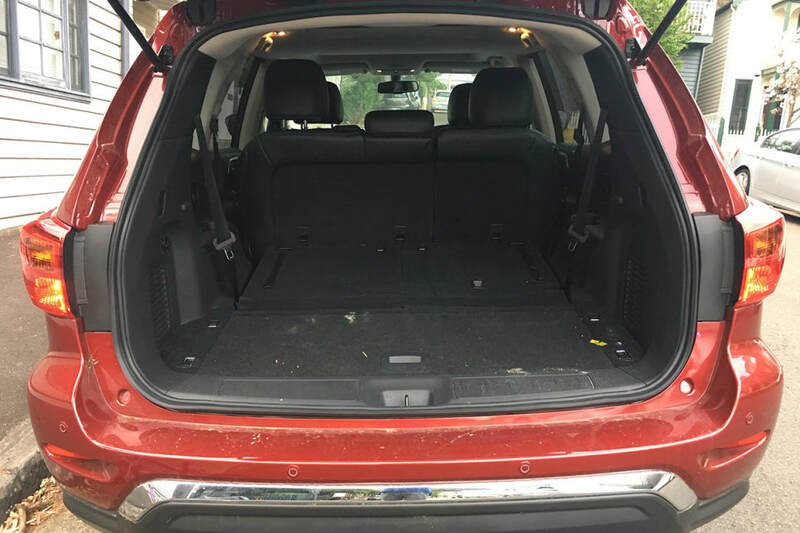 Something the size of a small block of flats, and with possibly even more room for storing things (we even got a piano in) is never going to corner like a sports car, but the Pathfinder really does do its best. 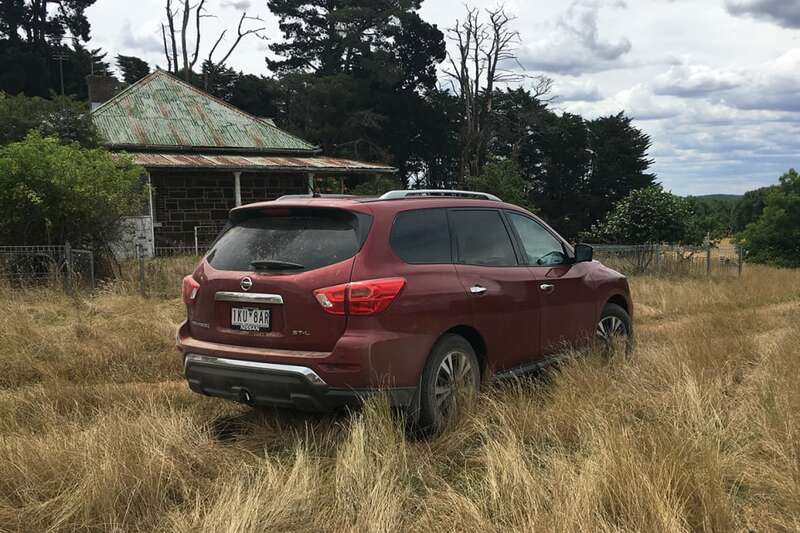 I drove it up one of my favourite roads - the Clyde Mountain from Batemans Bay towards Canberra - and it didn't make me feel sick, or cry at what might have been in a better car. 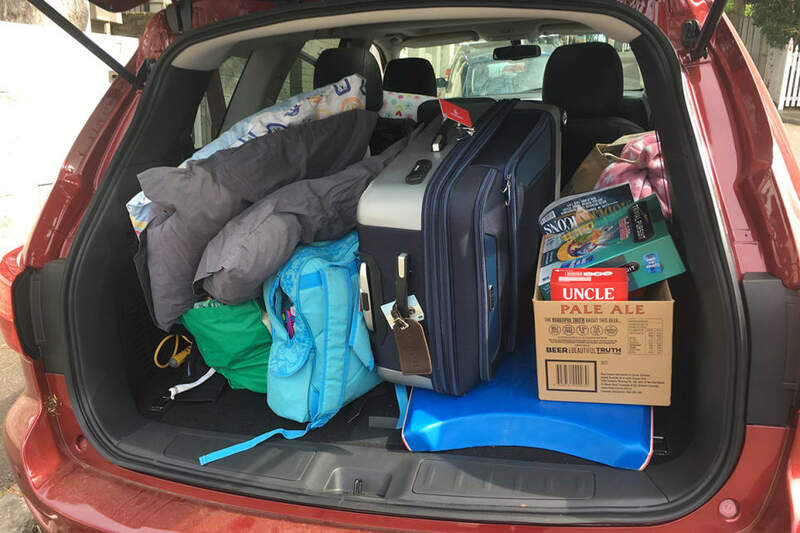 Our series of long road trips also reinforced what a practical family hauler this is. 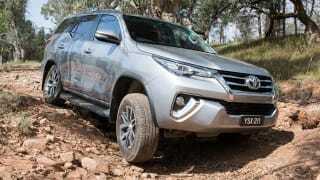 They also proved how reasonable the fuel economy can be when cruising. Partly this is because I've driven nothing but the Nissan now for about a month, which might be colouring my judgement, but I just honestly don't think it's bad. 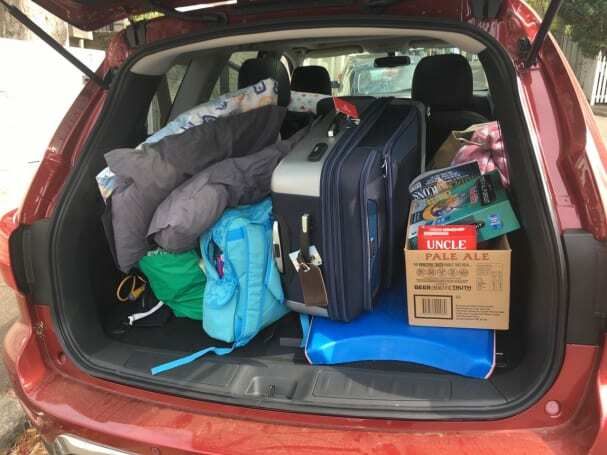 Our series of long road trips also reinforced what a practical family hauler this is, and how reasonable the fuel economy can be when cruising. Although I have had a few more occasions now, having visited country areas, where I've wondered why anyone would choose this front-drive version over the all-wheel-drive underpinnings it was so clearly born to have. Average fuel consumption: We slipped back under the 10L/100km mark this month, averaging close to 9.5, which dragged our overall figure down to 10.9L/100km. That'll do, pig, that'll do. Theoretically, your children are constantly learning new words at school, or more often in the playground, but in my family’s case, I’m sorry to say, they generally hear a lot of new, blue language in the car. It’s often struck me that there’s something about the caged-in confines of a motor vehicle that inspires rage and arguments. I’m old enough to remember a time before sat nav and huge arguments over directions, with one partner armed with deadly origami - in the form of a giant, ungainly road atlas - and the other with cruel barbs about how much intelligence it takes to read a freakin' map. 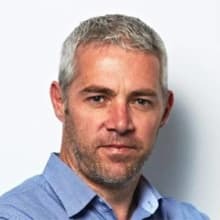 And if we’re not arguing with our loved ones - clamped together in a small space for many hours - we’re raging against other road users, or the perfidy of traffic in general, or Kyle Sandilands. 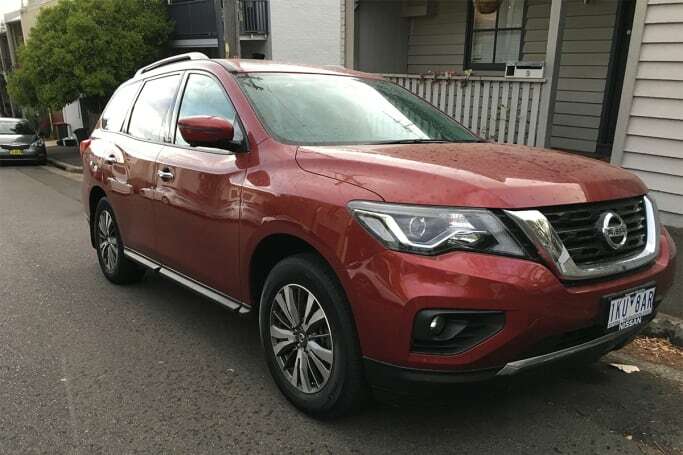 Lately, though, I’ve been doing a lot of shouting at, and about, our Nissan Pathfinder, because we have been - thanks to my reduced state as a near-unemployed former wordsmith - a one-car family. Obviously, after years of being spoilt rotten, I am partly raging against the injustice of it all, and the fact that I no longer always have the right tool for the right job. 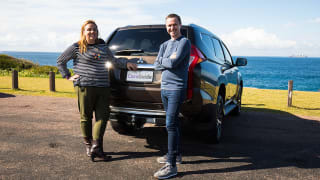 In the past, longer trips were taken in the Nissan - and in fine, stretched-out style - while journeys to the accursed underground pool where my kids learn to swim, or anywhere in my home suburb, were taken in something smaller and shinier. For the last few weeks I have been That Guy; the one who’s attempting to park a small house in a space that would barely fit a large pram, and continues to attempt it while traffic honks at him, even though he knows he’s not going to make it. All the while my face is turning puce with rage and my children’s ears are turning purple, while their mouths are like goldfish. 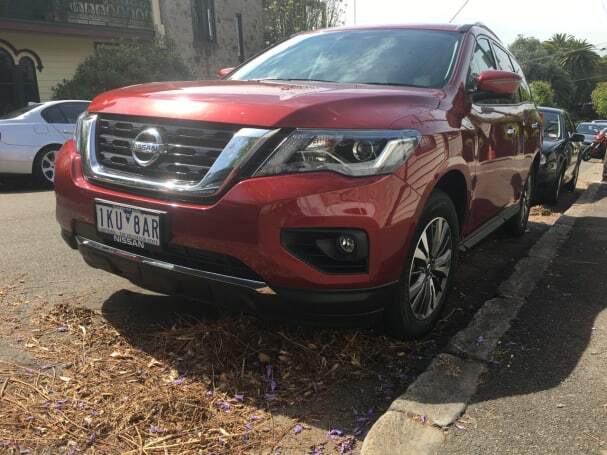 On one occasion, after attempting an angle park in a narrow street in inner Sydney, I realised that, even if the Pathfinder could theoretically fit in the space, it would only get there if it was lifted and dropped with a crane, because the nose is simply too big to swing in without destroying every other car within 50 metres. So I gave up, went home and started working on getting a second car. Because that is the simple fact of Pathfinder ownership if you live in an older, smaller-streeted suburb. It’s fine for getting out and about, but you’re going to need a second car for everything else. 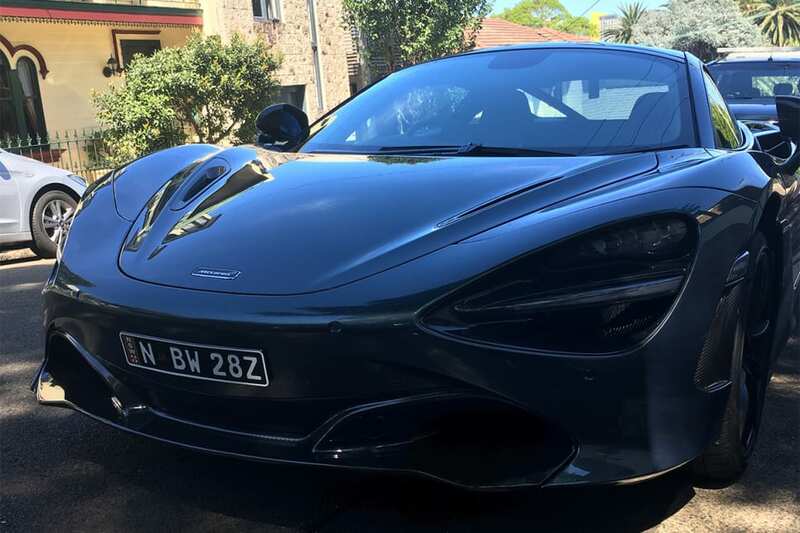 My first attempt was a McLaren 720S, which made me very happy, but displeased the wife and children greatly when they worked out they wouldn’t fit. So now I’ve settled on a Honda HR-V, at least temporarily, which it strikes me seems to have just as much space inside, uses less fuel and is so much easier to park that it makes me weep with joy. Using the Nissan all the time, for everything has, as you might expect, not been great for the old fuel-consumption figure, as you'll see below, and we hit a new high of 17.0L/100km on one tank this month. Now look, I'm not great at reading things, I prefer to write them and have my words worshipped by others, but I'm even worse at reading calendars and spreadsheet-type things. 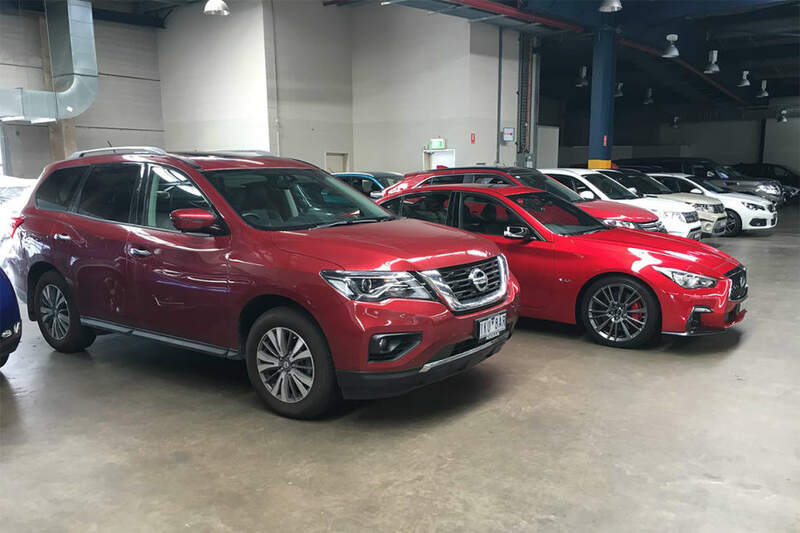 So it shouldn't be a surprise that I didn't realise my Nissan Pathfinder was due back until after it was actually due, and it's not really my fault that I was in Italy at the time, but what was a surprise was how upset I was when I returned home to find the Pathy gone. Forever. Picked up from my house and trucked off to parts unknown, without even a chance to say goodbye. This left me saddened in several ways, but mortified in particular that I'd not had a chance to clean up six months of grime, grit and garbage that my kids had trucked, smeared and secreted into the Nissan before it went back to the company. I fear the people who work there will never look me in the eye again, and will fear for my children's health. Honestly, I had no idea cars could get so messy if someone else didn't turn up and clean them for you. And six months is a long time, long enough to form a bond that you didn't even see growing (a bit like getting a dog because your family wants one, even though you hate dogs, and then finding yourself, six months later, missing said canine when you're away from home). It is no exaggeration to say that the absent Pathfinder has left a large hole in my life, a whopping great SUV-sized hole, in fact. It's not that I ever loved it, as such, but a bond of familial familiarity had definitely grown, and we all just accepted that it was our vehicle of choice, no matter how impractical that was at times. 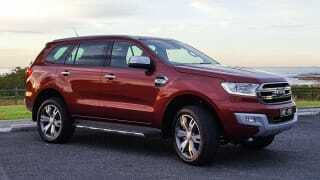 It was very comfortable, after all, and capacious, a bit like a favourite couch on wheels. And the stereo genuinely was quite good. What we miss most of all, though, and this really surprises me, is the utility of owning a seven-seater. I've always poo-pooed the idea as unnecessary, particularly when friends who had just one kid bought one, on the off-chance they'd use the extra space occasionally. But having lived with one, it's amazing how often they come in handy, and now when we say "No problem, we'll just pick up the in-laws on the way", we suddenly realise we can't. Four-plus-two seems to be a very common number in our life, and one that no other vehicle available to us is any use with. 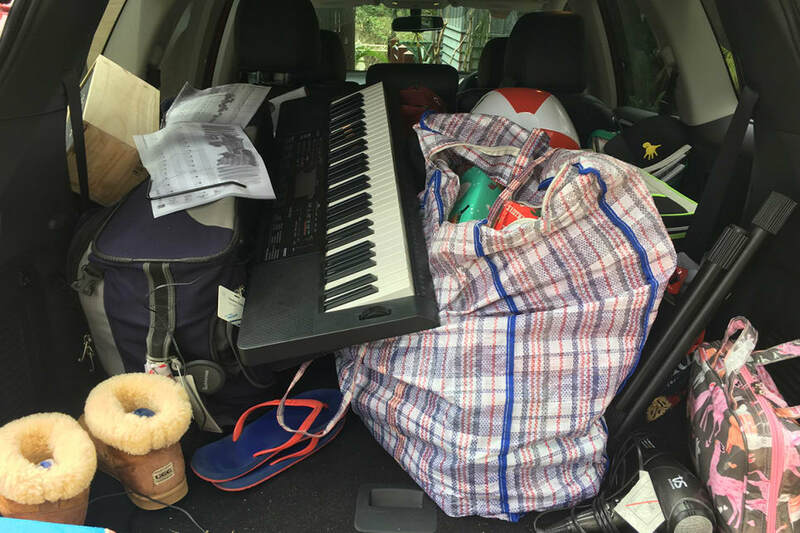 So, I've come around a bit on the practicality of owning a seven-seater, or the necessity. 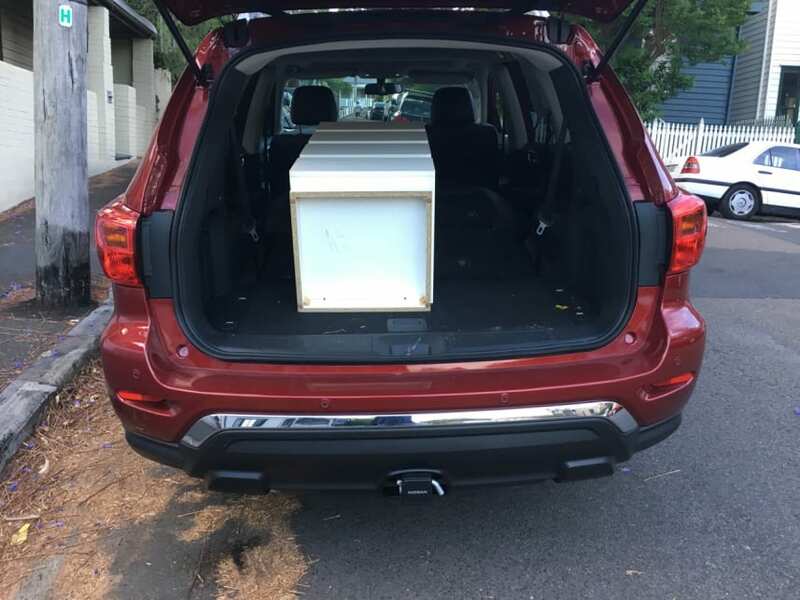 As for the Pathfinder, clearly it wasn't for me, or my lifestyle, but if I lived in an outer suburb, or a smaller town, like Canberra, I can see why it would be a very handy and happy family hauler. It does everything you could ask of it with ease and some style. It's not at all unpleasant to drive, reasonable on fuel and very comfortable indeed on long trips. And you never have to think twice about taking things with you, because it will all fit. Always. So, it's farewell to the Nissan Pathfinder from us after six successful months. What I'd really like to try now is something smaller, but still with seven seats. Please, sir, can I have one? Fuel economy: Our final average figure was 12.2L/100km. 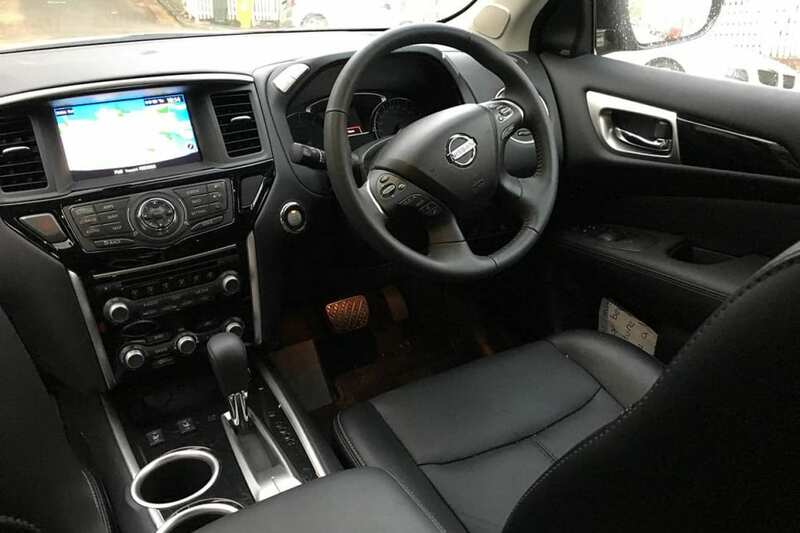 Is there anything you'd like to know about the Nissan Pathfinder ST-L 2WD? Tell us in the comments and we'll get Stephen on the case. Based on the Ranger pickup truck platform, the Ford Everest launched last year to much fanfare - but is it sufficiently different to warrant its extra cost? The Exceed is the top-of-the-range Pajero Sport but is among the cheapest of its competitors while still packing a decent amount of tech. Peter and Nikki discuss the merits of owning such a huge car.